The Age of Kings is dead, but The Powder Mage Trilogy has just begun! 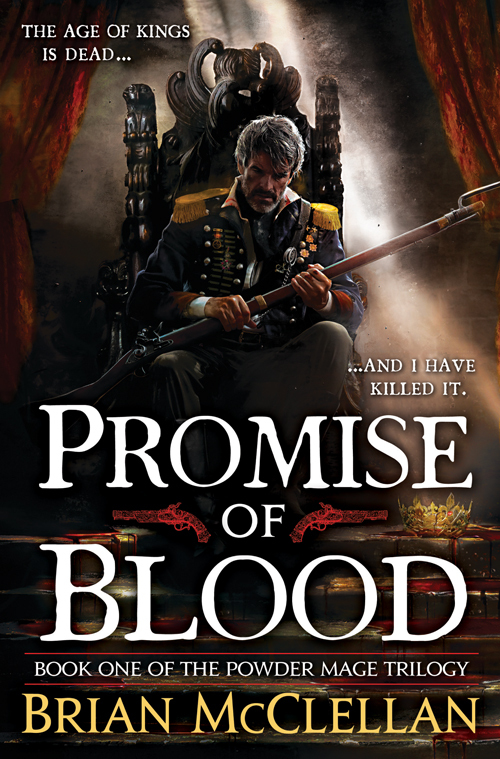 PROMISE OF BLOOD (US | UK | AUS) is out today in hardcover, ebook, and audio formats. This is the first book of an exciting epic fantasy trilogy by debut author, Brian McClellan. In the video below, Orbit editor Devi Pillai is going to tell you about what’s so great about The Powder Mage Trilogy and why we can’t wait for you to get your hands on it, dear readers. Enjoy! Mark your calendars: on April 23rd Brian will be on reddit/r/fantasy answering your questions.